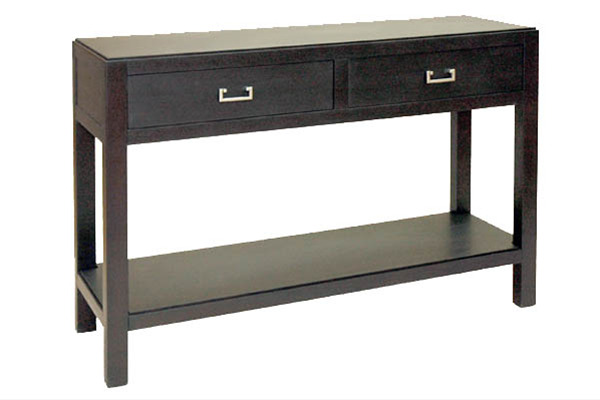 This custom black side table is part of our ebonized mahogany series. Most have stainless steel or aluminum accents. See also the 'sideboards' section.